Why is researching in Germany so hard? 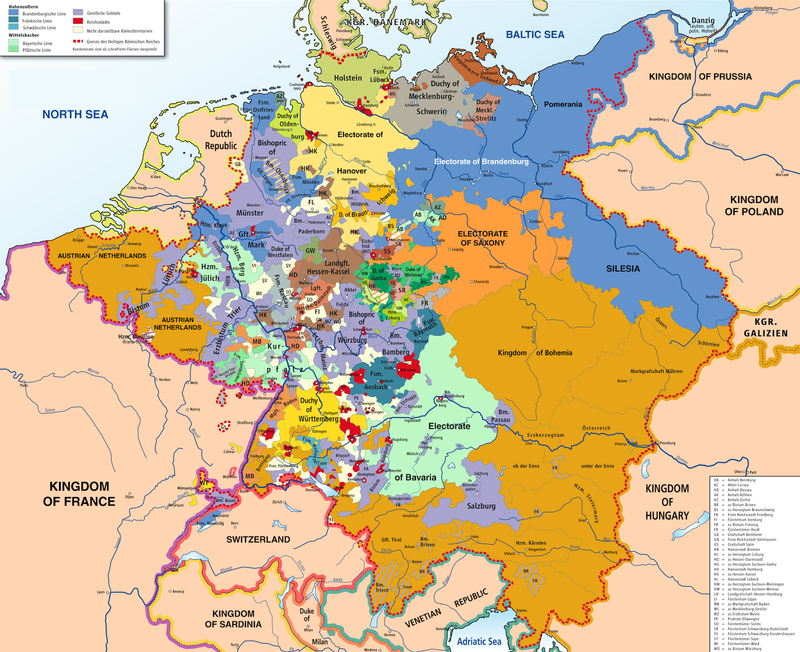 For one thing, the nation called "Germany" didn't exist before 1871 -- what we now think of as Germany was a group of loosely related kingdoms that shifted borders, had different systems for keeping records, and so on. Few civil records were kept; most records were in the hands of the various churches, Catholic, Lutheran, and Reformed. Many records were damaged or lost in the two great wars of the 20th Century. Places that were formerly in Germany are now in Poland or the Czech Republic or France. In Germany, it's essential to know the city or at the very least, state, that your ancestor came from; without that, you're stuck at square one. All of these things together make for pretty rough sailing for a new genealogist. 1. The Big Three: Ancestry.com, MyHeritage.com, and Familysearch.com will certainly get you started. The first two will cost you, though, and at Ancestry a basic membership won't be enough -- you need a World Membership to gain access to German records. If you're seriously getting into Germany, though, the World Membership, even for a few months, is worth it because you will be able to search so many more records. 2. Cyndi's List Germany pages: Cyndi's List is an incredible resource for genealogists. She has over 1,000 links for German researchers, and her list is updated frequently. If you're out of ideas (or even if you're not), visit Cyndi's List. 3. Genealogy.net is a large site run by the Verein (Club) fuer Computergenealogie. The site is in German and English, and it's not terribly hard to use. A couple of things are very useful. In the upper-right-hand corner, there's a yellow button that says "Metasuche." If you click on this, you'll be able to do a "meta-search" of all their resources. You put in a surname and a place name, and it searches all its resources for you. If the name is fairly unusual, you may want to leave the place name off and just search on the surname. Try putting the name into the "GEDBAS" section and see what comes up. 4. 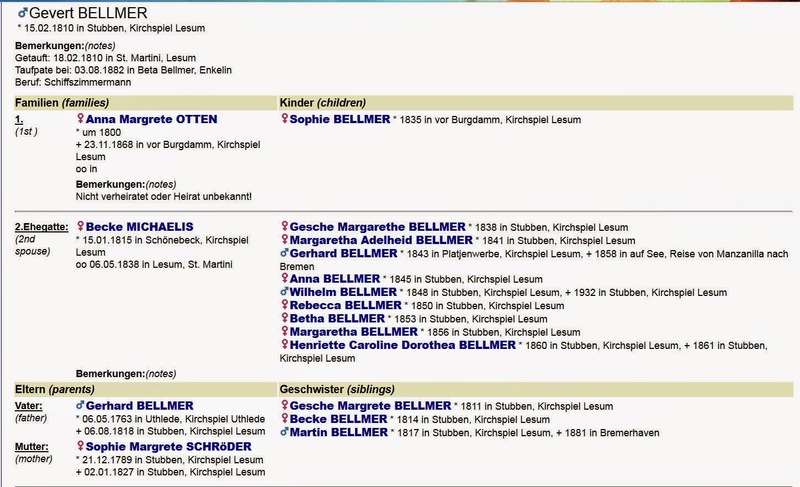 Ortsfamilienbuecher (OFB): Also on Genealogy.net -- If you can find an online OFB for your ancestor's town, you will have a treasure trove. An OFB is a historical record of the people in a town and their relationships, and they can be extremely rich sources of information. Genealogy.net has quite a few. 5. German Genealogy Facebook pages: This can be one of your best resources, because you're dealing with actual people, and it's likely that someone can give you a hand or point you in the right direction. 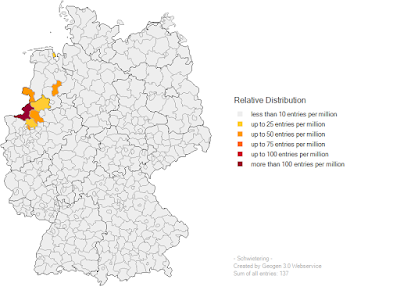 Here are a couple I belong to: German Genealogy, German Genealogy: Just Ask!, Genealogy Lower Saxony, Genealogy Silesiae Superioris, and Genealogy in Hesse. Look for groups related to the areas you're interested in and join! 6. City/State Archives: Civil archives in Germany will have information for perhaps the last 150 years. You can email them very politely (preferably in German) and ask for the records you need. If you don't speak German, you can use a template letter such as the ones found here. The problem with writing in German, of course, is that they will respond to you in German, and Google or Bing Translate are not going to be very helpful -- you will need access to someone who speaks idiomatic German to help with translation. If you don't know German, do not just type your letter into Google Translate and then send the resulting German translation -- it will be very poorly written, even comical, and you will likely irritate the people you're trying to get help from. German friends have said that it's better to write good English than poor German, so you might just try English. There will undoubtedly be a charge for this research; see Part 4 on how to pay for it. So that's a start -- so as not to make this post extremely long, I'll end it here and begin Part 2. Stay tuned for more ideas for researching in Germany! Thanks, Amy and Erica -- it often helps to be less specific in the beginning, and then add criteria to narrow down the possibilities. I don't remember what I was looking at the other day, but when I searched on "J Ortmann," they said they had nothing. When I took the "J" away, I got a long list, including a number of people whose first initial was "J." Go figure. I am so excited. I did my search for my Schridde Family in the OFB and it appears that, just perhaps, I may have found two more generations of my line. I entered with the first and last name with no results, and then I entered the last and I found them. 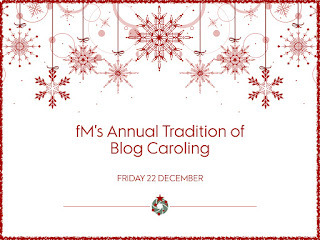 Thank you for the post and links. You're welcome! I'm so happy to have helped! Oh, this is wonderfully helpful, Elise. But-but-but I wasn't going to do searches for my Kuhn/Fricker families until later this year... Sidetracked yet again!! I'm making a list for research. Thank you so much. I hope it's helpful, Celia! I have always wanted to do German research for my husband's family and some of my own. I've never learned where to start and would just go back to what I know, which are the U.K. Records. Thanks Elise! This is wonderful information. Thank you so much for sharing it! Because of all the response to these posts, I'm writing an ebook on the topic. Stay tuned! Anything I can learn to help me find the Niemann ancestry of Dessau is very useful.